I’ve posted before about the amazing Chick Webb (Read here). Unfortunately there are not a lot of recordings of Chick, nor are there any movies. This is a rare one and so incredible I had to share it with you here. 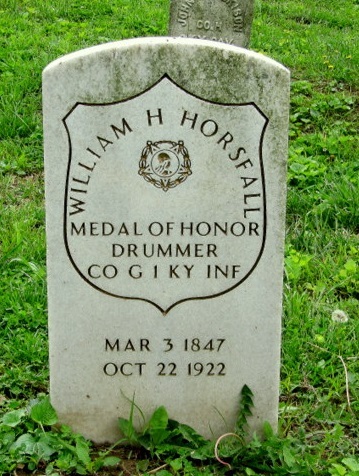 If you want to know who influenced drummers like Gene Krupa, this is the guy. Frequent visitors to this blog are aware that sometimes I post things that are controversial. 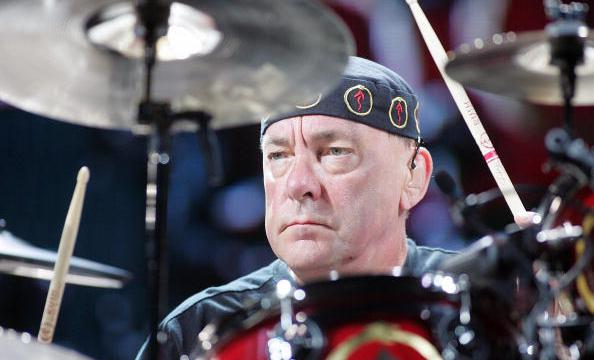 Another drummer who I’m not that enamored by (for very different reasons) is…get ready…Neil Peart. What? Did he just say Neil Peart?…Yes I did. I will certainly admit that Peart is one of the most technically-talented drummers alive today. He is revered by many and drummers drive themselves crazy trying to mimic his parts. He is a master of playing odd time signatures and complicated polyrhythms. His solos are considered to be some of the best of all-time. Simply put, he is considered by many to be THE best of all-time. That said, I prefer to listen to groove-based drummers like Steve Jordan and Steve Ferrone. Although he is filling in space within a trio I still find Peart in my opinion, overplaying. I simply can’t find what I would consider to be a traditional groove. There are a few songs that he limits his fills in. “Subdivisions” comes to mind. On the other hand, drummers like Jordan and Ferrone are able to lock in to a groove and stay there. Perhaps RUSH’s music doesn’t lend itself to that. I may be totally off, my expertise with the RUSH catalog is lacking, but I’d venture to guess there are others who feel the same way. I’d also like to add that I am not criticizing Neil as a person. He seems like a really nice guy. His lyrics are exceptional. His books receive great reviews. His style is just not for me. I started a conversation over on Facebook to discuss this topic anticipating I would get blasted by RUSH fans. I was not. In fact, many shared my opinion. Michael Lester: I think it all comes down to preference. I’m not a Rush fan, but I will listen to Neil for ideas and to try to get into his head. Lol. But I’d much rather listen to John Bonham. And his band is way cooler. Better songs too. Just my opinion! Hal Bowman: Peart – I get it. I respect it. I can appreciate it. At times, astounded by it. BUT…. never have I been musically/emotionally “moved” by it. David Osmar: I would rather listen to the technical abilities of Casey Scheuerell and Mark Craney. Woody Mike Emerson: Neil is my all-time favorite! But the “reggae” beats of Stewart Copeland of the Police gets me moving! James Barron: Neil was a big influence on me as a kid back in the late 70s and early 80s.That said, he started and influenced a lot of the drummers that have become the norm of today. Is he the most technical today? No, not by a long shot. Thomas Lang, Steve Smith, Vinny Calauta (sp), Dave Weckl are all way more technical than Neil ever thought about being. Eric Bartholomew: I can agree with this statement. (Maybe Neil is not quite “The greatest ‘technical’ drummer,” but I understand what you are saying.) As for myself, I do prefer the groove guys. But as far as prog rock goes, I like how what Neil plays, as busy as it may be, still fits the song. Dave Bloom: With all due respect to the Neil worshippers he is good, but he is certainly not the greatest technical drummer alive today. Steve Jordan is awesome. He is so smooth and owns the pocket. Gillan Arcoleo: Honestly I don’t like Neil Peart. He has many of the same little shows in his playing if you get down to it. I would rather listen to Terry Bozzio or Steve Gadd. Today I want to briefly talk about the concept of “newfound respect.” It means you gained respect for something that you didn’t have previously. As a musician it is very common to learn to like different kinds of music as you mature. That is, music that didn’t necessarily catch your attention in your youth. I also find this to be true in regards to other musicians. I have found that as I grow older I’ve come to appreciate drummers that I didn’t respect in the past. One such drummer, and one that I am ashamed for overlooking, is Rikki Rockett from the band Poison. By getting caught up in their tongue-in-cheek glam rock image it’s easy to forget that the band has sold over 45 million records worldwide. My garage band actually covered a couple Poison tunes and looking back, the parts were a lot of fun to play. Rikki had a great sense of tempo and he used things like tom-based grooves and shuffles on many of their hits. It wasn’t until I watched a video of one of Rikki’s drum solos that I went back and rediscovered his contributions to late-80’s rock. Another aspect of Rikki’s playing that I overlooked was his tasteful approach to the drums. From straight-up rock songs to bops and ballads, he played for the song and accompanied his fellow band mates seamlessly. Unfortunately in my mind, his image overshadowed his musicality. Today Poison performs el natural and they have maintained the same spirit they originally had without the distraction of hair and make-up. 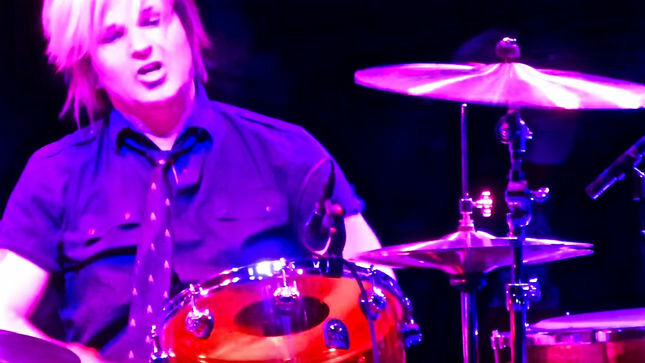 This has made it more apparent that Rikki Rockett is an exceptional drummer. His groove is impressive and his obligatory drum solos show that his chops have remained. Here are two videos. The first is of Poison in their heyday and the second is the band today. Compare them. The song is “Nothing But a Good Time.” Notice that “nothing” has changed musically. In fact, I think they are better. Professional athletes, in any sport, are required to perform under immense pressure. Each player has their own way of dealing with the stress. Some listen to music while others meditate. Some players even play a musical instrument. 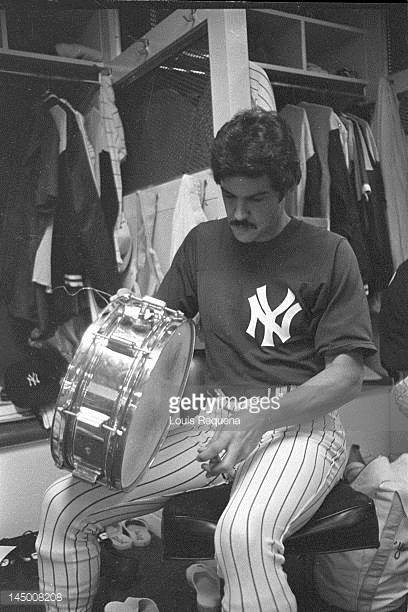 Ron Guidry of the New York Yankees played the drums, at the ballpark, prior to games. Guidry was more than good and he was allowed to keep a trap set on hand where he would play with the same level of proficiency that he showed on the field. As a standout left-handed pitcher Guidry was nicknamed “Louisiana Lightning.” His career lasted 14 years (1975-1988) and he played every one as a member of the New York Yankees. He won the American League’s Cy Young Award in 1978, as well as five Golden Gloves. He also appeared in four All-Star Games and was awarded the Robert Clemente Award in 1984. You can see Guidry’s complete career stats here. He served as captain of the Yankees from 1986 through 1988 and his number 49 was retired by the team. Years after his retirement, Guidry returned to the franchise as a pitching coach from 2006-2008. According to an article linked on Zell’s Pinstriped Blog: “Guidry played the drums when he was with the Yankees and he was skilled enough to perform once with the Beach Boys as a drummer in a post-game concert. But playing the drums also benefited Guidry’s pitching. ‘I kept a set of drums at Yankee Stadium for one reason,’ said Guidry. ‘Playing the drums kept my wrists very strong, and a strong left wrist allowed me to throw my slider more effectively.’” It is clear to see how drumming can benefit the athlete through its physical and mental requirements. Other ballplayers who also play the drums are Paul O’Neil, Evan Longoria and Mark Teixeira. 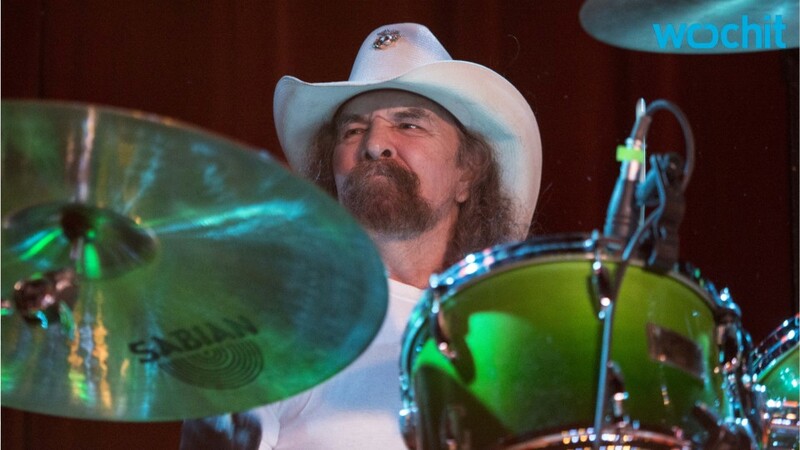 Today I listened to an old Modern Drummer interview conducted by Scott K Fish with Artimus Pyle of Lynyrd Skynyrd. Artimus discussed his tendency to speed up during songs when he gets excited. He also talked about maintaining tempo and playing with an awareness of space. That means playing just enough to cover your part while allowing the other instruments to breath. It sounds easy but it’s a challenge for many drummers. In big band music, drummers tend to project from the bandstand while backing off just enough when appropriate to allow each horn player to solo uninhibited. In jazz, drummers are often the ones in the spotlight. Their fellow musicians take turns allowing each other to breath while the drummer solos. In rock music it’s more difficult. All of the band’s members are usually playing at equal volume and intensity. During the obligatory guitar solo drummers often simplify their pulsating beat to make room for the guitarist. When looking at the anatomy of a song: verse chorus and bridge, there are plenty of opportunities for each musician to allow each other to breath. Look at the structure of the music in individual sections instead of one whole composition. By breaking it up the band will better recognize where they should and shouldn’t fill the space. It also helps to prevent selfishness. As a drummer your job is to maintain time while having periodic moments to shine. Having an awareness of space enables you to meet your responsibilities while letting the other instruments take their turn. Look at the band as being made up of individual parts. Each player should know when to push and when to pull back. Of course we have to start with the subject of the aforementioned interview… “Simple Man” by Lynyrd Skynyrd. One of the band’s only ballads each member respects the vocal and each other. “Wrapped Around Your Finger” by The Police. This song’s simplicity is brilliant as each instrument occupies its own space without compromising each other. “Human Nature” by Michael Jackson. The instrumentation in the background of Jackson’s whispery vocals is a textbook example of awareness of space. “That’s the Way” by Led Zeppelin. The blend of acoustic guitars and Robert Plant’s voice create a delicate sound that washes over you like a breeze. You may notice that each of these songs is on the softer side. They are a good example of songs in which the instrumentation supports the vocal and each other. Each musician sits within the song without stepping on their fellow band mates. When it works there is natural cohesion that occurs throughout. That makes the song more appealing to both the musician and the audience. 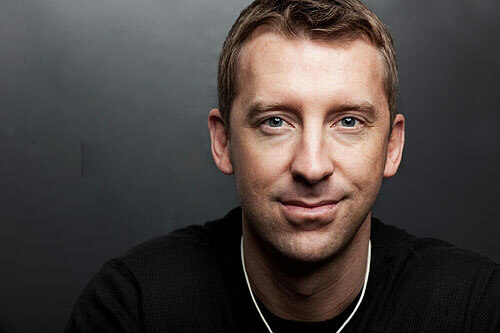 Mike Johnston of MikesLessons.com has become a favorite teacher of mine. I look forward to his Modern Drummer Podcast each week in which he and Mike Dawson, managing editor at MD, discuss a myriad of topics on all things drums and drumming. I’ve often thought of adding a podcast capability to Off Beat but no one does it better than those guys. Mike has put forth this theory on a number of occasions and I think it’s worth sharing with you. The premise is that all drummers are on a journey. Meaning anyone can pick up a pair of sticks. It’s the time you put in using those sticks that defines where you are as a player. Drummers that are better than you are simply further along on their journey. They have put more time in than you up to that point. Eventually, if you put in the necessary time you can reach their level of proficiency and so forth and so on. It’s easy to watch prodigies playing drum solos on YouTube and get discouraged. I know I have doubted myself on more than one occasion…ok on many occasions. Here’s a common scenario: You buy Steve Jordan’s DVD “The Groove is Here.” (My favorite instructional video ever made.) You watch Steve’s unbelievable groove. Instead of taking pointers from it you find yourself getting depressed. You feel like there is no way you’ll ever be as good as Steve. That is probably true as he has put in countless hours in order to get to that level but that isn’t the point. In theory, you can get pretty close if you are willing to put in the many hours to get there. Instead of feeling down you should feel motivated to hit the practice room and shred. Accept that you are on a journey. Be inspired by those who are farther ahead than you. You will improve more and more as you travel along on your own “drumming expedition.” Look at those who came before you. They were on a journey too. The difference is the time they put in. Put in the time and you too will reach their level. Follow the example put forth by Steve Jordan. Get inspired. Michael Lester is a friend of ours. He’s a fantastic drummer and an excellent drum teacher who primarily works with younger students. 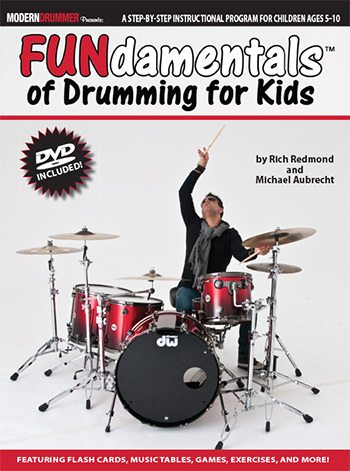 Michael uses FUNdamentals of Drumming for Kids as part of his study materials. Here is a video of one of his students playing with Michael’s band Big Daddy Caddy. Blayze is eight years-old and already knows how to lock in with a groove. If that isn’t validation of our program I don’t know what is. I am thankful for Michael using the DVD and book. If you are interested in lessons with Michael you can contact him at iamthedrummer95@yahoo.com. Here is a video of Blayze sitting in with the band. I was very sorry to get an email this week announcing the closing of Rich Sticks. I have been a Rich Sticks artist for several years and they made the perfect signature stick that fit all of my needs. Fortunately I don’t break many sticks so I have plenty of unused pairs in my bag. I was very proud to be on the same artist roster as Bernard Purdie. The owners and operators, Joshua Mimms and William Fitzpatrick, did all they could to grow their company but it just didn’t work out the way they planned. Like so many small businesses it’s difficult to compete in today’s ever-changing market. The big three stick makers understandably have an advantage but never count out the little guys. Their product can be just as good and their artist relations can be better. I wish Joshua and William the best of luck in their future endeavors and I will continue to proudly display their former company’s logo on my bass drum. RR: As my friend and co-author Michael Aubrecht has interviewed so many drummers, (me included) I thought it might be neat to interview him for a change. Michael took some time out of his busy blogging schedule to answer a few questions. RR: Tell us why and how you started drumming. MA: I started playing drums earlier than some and later than others. I began showing an interest in music in the 6th and 7th grade. That was when I started paying attention to bands and buying albums and cassettes. I had always liked music and I had a bunch of hit 45s, but I was never serious about it. My first album purchased was AC/DC’s Back in Black which is still one of my Top-3 albums of all-time. In the 7th grade I started showing an interest in the drums. Like many drummers I started banging on Tupperware and then moved up to a drum pad. My parents even bought me one of those Synsonic Drum machines. Shortly thereafter I started taking lessons. I was all in and 100% devoted to it. I got my first drum kit in 8th grade. It was a beautiful Pearl Export kit and I still regret selling it years later. In school I started getting involved in the music programs that I would participate in until graduation. I played in the choir band, marching band, symphonic band, stage band and percussion ensemble. I was fortunate to have great teachers over the years and I still follow their guidance to this day. I also played in several garage bands. We did some gigs and battle of the bands. All of those guys went off to record CDs with their own groups. I’m the only one yet to be captured on a recording. RR: Tell us about your drumming heroes. MA: I can answer that easily because I was very focused on three “heroes” from specific genres. In the hair-metal world it was Frankie Banali. My first concert was Quiet Riot and I remember his immense black and white striped drum kit hovering on the stage. It was on their Condition Critical Tour and that song still remains a favorite of mine. Looking back, Frankie had (and has) a heavy hitting style similar to John Bonham. Years later I was very lucky to have interviewed Frankie for Off Beat. In the pop world I was enamored by Bobby Z of Prince and The Revolution. His ability to combine electronics and acoustic drums in order to fulfill Prince’s vision was extraordinary. Purple Rain is one of my Top-3 albums of all-time and Bobby’s live performances of those songs still resonate with me. 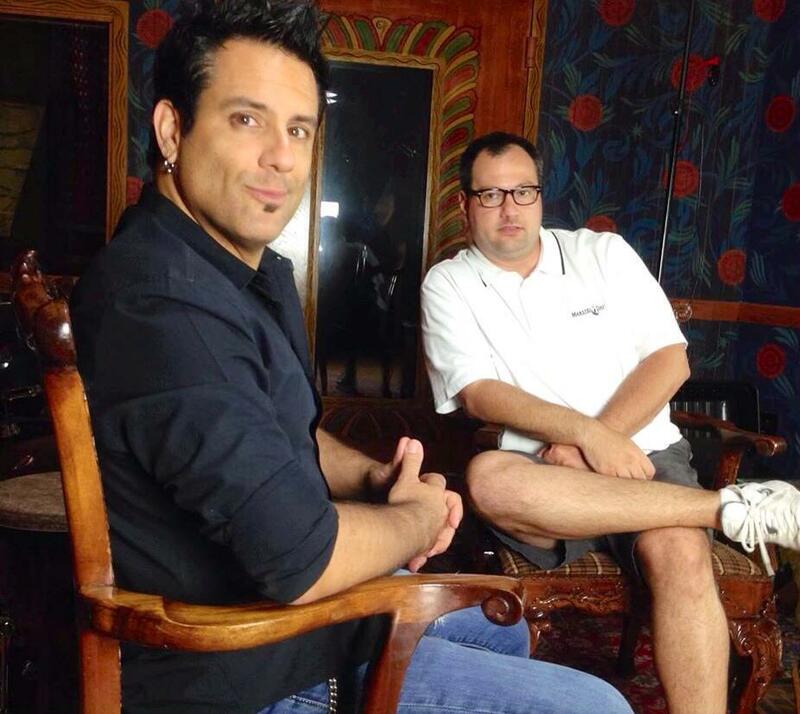 Like Frankie Banali, I was lucky to have interviewed Bobby Z for Off Beat. My third hero in the pop-rock world is Jon Farris of INXS. His creative drum parts and groove within a song structure are second-to-none. INXS had a string of hits in the 80’s and 90’s and Jon’s contribution on the drums was a big part of that. His live performances captured on INXS’s Live Baby Live album show how a drummer can still jam while sitting within the structure of a song. I would say Jon is my #1 favorite. RR: What music have you contributed to? When I create these pieces I’m very much into layering. I like to add percussion behind the drum track. Sometimes I’ll start out with something simple like a ride pattern. Then I’ll add toms, and finally the snare. It’s a back-ward way of sorts but it seems to work for me. Attila is always creating music so I am grateful for the opportunities he’s given me to contribute. I also love sitting in and jamming with my friends from The Drowning. I played with the band’s founding members years ago and it’s been great to reconnect with them. Their CD Every Hour Wounds is amazing. I don’t have the free time to play as much as I’d like but when I do I love making music with friends. RR: Tell our readers a little about our project. RR: What gear do you play? MA: I play a mix of gear spread between two drum sets. My primary kit is a PDP mahogany kit. It consists of an 18” bass drum, 12” rack tom, 14” floor tom and usually a 14×5 ½” snare that switches between wood and brass. It is wrapped in a pink oyster wrap that I helped to design. My second kit is a black sparkle Ludwig Breakbeats kit that consists of a 16” bass drum, 10” rack tom, 13” floor tom and a 14×5 ½ wooden snare. I also use a variety of electronics from time to time that consist of two Alesis Sample Pads and four ddrum Red Shot Triggers. RR: What are you working on and where are you going? MA: The Off Beat blog continues to grow. I average thousands of hits across twenty countries. My plan is to incorporate more live Facebook chats on the blog. I’m continuing to do exclusive interviews and the list is growing. I’ve done over 20 interviews to date. Names like Steve Smith and Danny Seraphine top the roster. Of course so do you! [laughs] Next up is David Abbruzzese. I hope to see our book reach its fourth printing. I’ve created training aids and a course syllabus for teaching the “FUNdamentals” way and we are getting good feedback. I maintain our Facebook page and I will continue to do so. I’m hoping to find more time to practice. I’m not writing books or doing speaking engagements at the moment as my family takes my attention. Unfortunately I sacrificed a lot of time with them to pursue my projects and I’ve shifted my focus as it should be. I still contribute articles to an online and print publication. That allows me to keep my writing chops. Who knows? Maybe someday you and I will get around to publishing the follow-up to FUNdamentals of Drumming for Kids? Maybe we can do FUNdamentals of Drumming for Adults? RR: What are the ways people can see your work and get in touch with you? NOW IN ITS FOURTH PRINTING! “FUNdamentals of Drumming for Kids” uses a variety of fun, unique teaching techniques that mimic the curriculum used in the elementary school classroom. Each step in the program is designed to build upon itself to provide young children with practical and applicable skills for playing the drums. 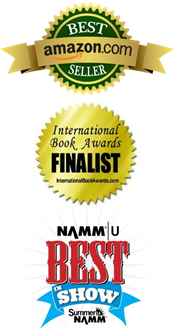 Published by Modern Drummer and distributed by Hal Leonard the book and DVD combo won ‘Best In Show’ at Summer NAMM 2014 and is an Amazon Best-Seller in four countries. It is available on Amazon.com, Modern Drummer.com and MusicDispatch.com. 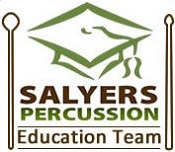 Michael is a member of the Salyers Percussion Education Team.